I had the rather surreal experience of opening up The Telegraph this morning (Saturday) and not finding myself there – for the first time ever in 6 (or is it 7?) years. There have been some weeks when I have had a half-sized column, when the Suits decide to ‘shrink’ the Gardening Supplement into the main Weekend section. But I am contracted to write for 50 weeks of the year, and so far I have managed to stick to it. I was recently in hospital for a few days. Feeling extremely ropey and on a drip and of course without internet connection, it was just impossible to write my column and I was given a week off. Please, please let me be missed. I am better now and my column re-appears next week. This entry was posted on Saturday, April 19th, 2008 at 10:06 am and is filed under Journalism, Musings. You can follow any responses to this entry through the RSS 2.0 feed. You can leave a response, or trackback from your own site. I would have thought the entire gardening nation missed you. 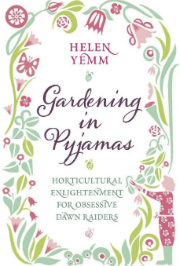 I think you are like everybody’s auntie the way you seem to be able to answer all those awkward gardening quetsions. I am very glad you have a new agreement! Glad you are feeling better. 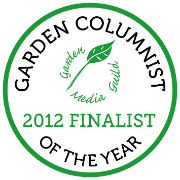 I’ve only discovered your column recently, and already you’ve helped my southern California garden. Your comments on powdery mildew in the May 2 column were the first time I’ve seen an explanation of its causes. Usually, there’s just advice on treatment. My tiny garden on a small sun deck is all in containers, and I realize now that I’ve been under-watering my Plumbago capensis in hot weather. Although it is still getting a little bit of mildew three weeks after I added organic matter to the container and become more conscientious about deep watering, the affliction is much milder. (I didn’t have to improve circulation, since the deck is on a slope just a few miles from the Pacific Ocean and gets its share of breezes.) Thank you!